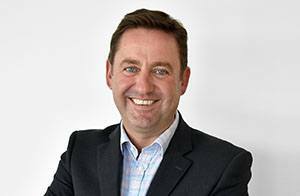 It marks Knight’s second buyout since its £103.5m listing on the Alternative Investment Market (AIM) in June – the largest UK firm listing to date – with a deal for Manchester independent Turner Parkinson announced shortly after floating. Today’s acquisition (9 October), Spearing Waite, gives Knights a new hub in Leicester and adds 59 fee earners, bringing its total to 450 across the country. In the financial year ending March 2018, Spearing Waite generated £7.1m in revenue, with £3.2m in distributable profits to partners. Knights purchases the interests of Spearing Waite’s four equity partners for cash consideration of £5.35m and nearly 100,000 new shares in Knights, as well as deferred consideration of £800,000 paid over the next three years. Knights will also discharge up to £2m in debt and grant stock awards up to £265,000, meaning the overall deal will cost up to £8.5m. The deal went live on 1 October, with Spearing Waite keeping its branding for ‘a short transitional period’ before being officially relaunched as Knights on 1 January 2019. Last month, fellow-listed firm Gordon Dadds announced a surprise move for struggling Ince & Co, in a tie-up which will create a £114m firm. If the move passes partnership votes, it will create the UK’s largest listed law firm. Staffordshire-based Knights is set to raise £50m from its initial public offering (IPO) on AIM this week (29 June), with the firm’s four selling shareholders to split £20m in proceeds. The float – which would be the largest legal IPO to date – is also expected to give Knights a market capitalisation of £103.5m, in line with the firm’s forecast from earlier in the month. Four of the firm’s shareholders – commercial operations director Mark Beech, facilities director Joanne Beech, Newcastle-under-Lyme office head Karl Bamford and non-executive chairman Balbinder Johal – will split £20m between them as a result of the IPO. 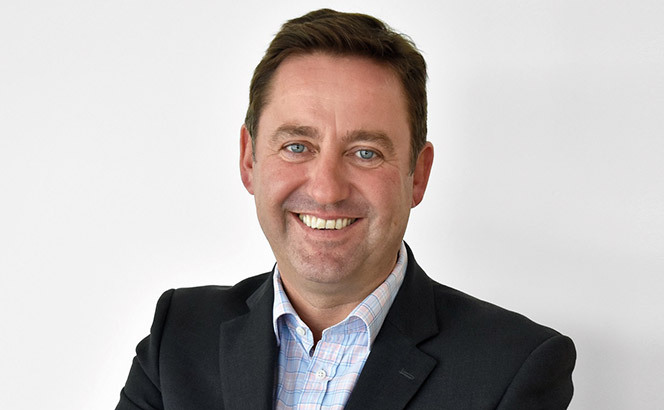 Chief executive David Beech (pictured) will retain a shareholding of around 45.5% and will be subject to a three-year lock-in period in which he will be unable to sell his shares. The other shareholders will hold 1.7% each. Knights had already been in buyout mode, announcing an agreement in May to buy Manchester firm Turner Parkinson for an undisclosed sum. The acquisition added 45 additional fee earners and a seventh UK office. Knights’ AIM listing follows Rosenblatt this year, and Gordon Dadds and Keystone Law in the second half of last year. Gateley was the first UK firm to take the step back in 2015, raising £30m at a £100m valuation. 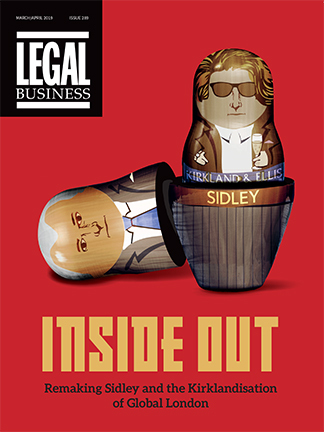 However, Knight’s record for the largest UK law firm listing may not stand for long. Top 25 LB100 firm DWF confirmed this month it is also considering a potential float. Standard valuation models would value a listing at between £400m and £600m. Fieldfisher also confirmed recently it had engaged in ‘pilot fishing’, a process of pitching the idea of a float to potential investors, but an IPO anytime soon seems unlikely. One of the earliest adopters of the Alternative Business Structure (ABS) model is turning to the public capital markets to raise tens of millions to pay off debt and fund a war chest big enough to land three acquisitions by 2020. Stafforshire-based Knights said on Monday (4 June) it was listing on the Alternative Investment Market (AIM), becoming the fifth law firm to do so. The float is expected to give the business a valuation of more than £100m, which would make it the largest legal initial public offering (IPO) to date. Knights, which became an ABS in 2012 and has previously been backed by private equity investment, broke into the Legal Business 100 for the first time last year but wants to raise money to pay down its debt facilities, generate working capital and for general corporate purposes. It is yet to determine how much will be raised in the IPO. The firm would not specify the amount of its debt facilities, but for its accounts for the year to 30 April 2017 the firm lists a £7m bank loan and another unspecified loan of £22.3m, although debt is believed to be lower now. As well as paying most of its debt, Knights wants to add 200 fee earners by 2020. In late May, the firm announced an agreement to acquire Manchester firm Turner Parkinson for an undisclosed sum, adding 45 fee earners and an office to Knights’ six bases in the UK. The firm’s offices in Chester, Cheltenham, Derby, Newcastle-Under-Lyme, Oxford and Wilmslow boast 350 fee earners between them. The firm believes it can achieve growth either through the acquisition of legal teams or firms and in new regional markets or complementary service lines. Beech believes the firm has existing strength in corporate, litigation, real estate and employment. For the year ended 30 April 2017, Knights reported revenue of £33.5m, up 64% and fuelled in large part by the acquisition of Oxford-based Darbys in 2016, which added £10m in revenue over the year. The firm says revenue this year is £34.9m, a small uptick. Knights’ AIM listing follows Rosenblatt this year, and Gordon Dadds and Keystone Law in the second half of last year. Gateley was the first firm to take the step back in 2015, raising £30m at a £100m valuation. Alternative Business Structure (ABS) Knights has recorded 64% growth in turnover in the last year to achieve £33.5m in revenue. The growth is a significant increase on last year’s turnover figure of £20.5m. As a result, the business is set to enter the Legal Business 100 for the first time this year. The firm attributes the business’ impressive growth to the acquisition of Oxford firm Darbys in 2016, a purchase which added £10m in revenue over the year. An early adopter of the ABS model, Knights is a full service business with 350 professionals and offices in Newcastle-under-Lyme, Chester, Cheltenham, Derby, Oxford and Wilmslow. Due to its ABS structure it obtained in January 2013, Knights is able to offer ‘non-law’ services to clients such as town planning, corporate finance, management consultancy and specialist tax advice. Beech added: ‘We feel we’ve only just started. We understand our business model, we’ve got a very strong culture. We’re aiming at the “second city” locations, we want to add to that when we find the right acquisitions. In other recent firm financials, London firm Forsters has posted a 9% increase in turnover, buoyed by strong results from the firm’s corporate, banking and private client teams. Profit per equity partner also rose slightly from £527,000 to £532,000. Fladgate has announced a provisional 15% rise in turnover for 2016/17, with revenues up to £49.2m. It is the sixth consecutive year of double digit growth for the firm.